In 1972, Laszlo “Lee” Molnar founded Lee’s Enterprise to create high-quality parts for the aerospace industry. With Lee’s attention to detail and efficiency, the company became the premier aerospace supplier for precision parts such as electro-mechanical actuators used in cargo doors, rudder trim control, thrust reversers, wing flaps and more. Today, Lee’s is involved in almost every major platform in commercial and military aerospace. If you see an aircraft in the sky, Lee’s is on it. When you work with Lee’s you get a dedicated, highly trained staff of machinists and engineers who have been in the industry for years. “We have millions of dollars invested in specialized, high-tech machinery, and that’s important,” says company President, Tom Molnar. “But, it’s the people who make the machine work well.” Our staff knows the industry, how to operate efficiently and how to build quality into the process. We work with you to make your supply chain more efficient and your company more competitive. Our engineering department will help streamline your design and even suggest changes which can improve manufacturability and reduce costs. Our customers use us as a centerpiece of developing their gear supply chain. Our experienced managers can build value stream solutions that allow us to ramp production up or down to meet our customers’ demands. 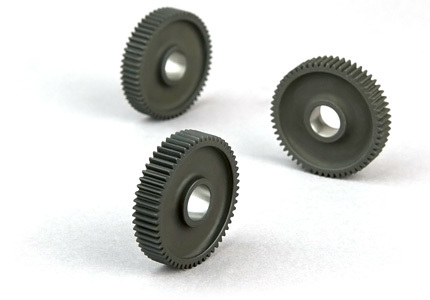 Not only do we have the expertise to manufacture demanding parts, our customers find that we are the easiest supplier with which they can do business. Involved in almost every major platform in commercial and military aerospace.